A teacher asks his pupils what they want to do when they grow up. 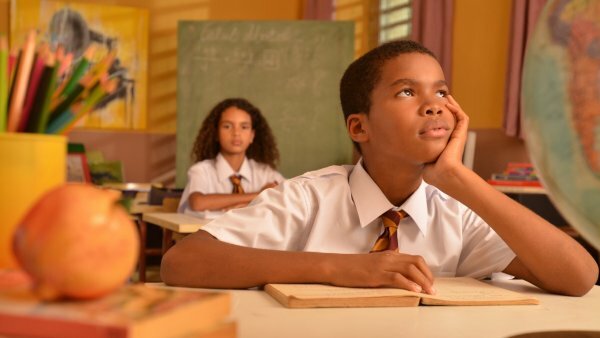 While his classmates answer lightly, Tom - a quiet 10-year-old boy - slips away into thought. When his turn comes, Tom embarks upon a striking monologue describing three possible life choices that will lead him to dramatic ends. Born and raised in Martinique, Maharaki graduated in 2004 from the Ecole Internationale de Création Audiovisuelle & de Réalisation (EICAR) in Paris. She received her Bachelor of Fine arts Motion Picture Directing from the European Accreditation Board of Higher Education Schools (E.A.B.H.E.S) in London. Based in Barbados, Maharaki freelances throughout the Caribbean, producing and directing music videos, advertisements and short TV formats. She is regularly solicited to assist overseas productions, which led her to work with music stars such as Rihanna and Shontelle. Director Maharaki and co-producer Suzy Sorel will be available for Q&A after the screening.